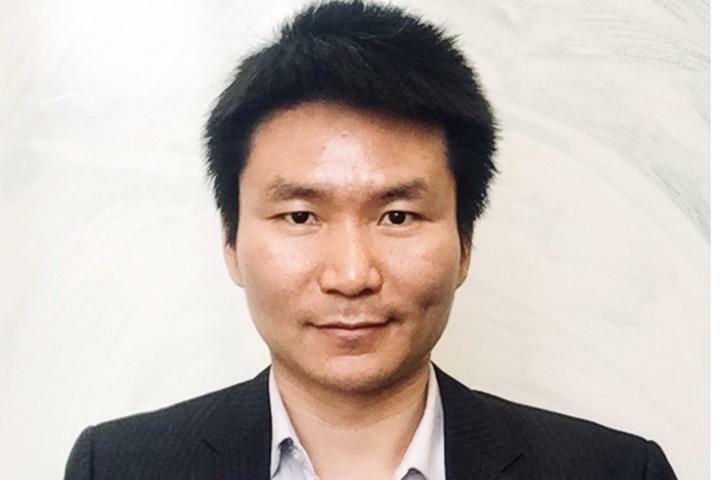 TROY, N.Y. — Jian Shi, assistant professor of materials science and engineering at Rensselaer Polytechnic Institute, has won a Young Investigator Research Program (YIP) award from the Air Force Office of Scientific Research (AFOSR). Shi will use the three-year, $450,000 grant to pursue fundamental research on nanoscale complex materials that could lead to the development of next-generation resilient and high-performance energy conversion and sensing technologies. The AFOSR YIP award is one of the most competitive awards for young assistant professors and researchers in the United States. It is awarded to scientists and engineers who have received Ph.D. or equivalent degrees in the last five years and show exceptional ability and promise for conducting basic research. With a broad research interest in materials science, Shi focuses on a fundamental understanding of atomic scale symmetry science and engineering of low-dimensional electronic and optical materials; adaptive electronics and optics; and materials engineering for energy transformation. Shi's AFOSR YIP project is titled "Nanoscale Pyroelectric Hybrid Materials Undergoing Structural Phase Transition." Shi and his research group will use the grant to pursue fundamental research on nanoscale complex materials involving electronic symmetry breaking and hybrid domain physics. "One focus of this program will be studying how a material's electrical property changes when a large pressure gradient is applied, i.e. flexoelectricity," said Shi. "This is an important subject, as the fundamental understanding obtained here could lead to the development of ultra-efficient or ultra-sensitive thermal-related technologies, such as high-performance uncooled infrared sensors." Shi joined the Rensselaer faculty in 2014 after doing postdoctoral work at Harvard University. He earned his doctorate in materials science at the University of Wisconsin at Madison in 2012, his master's in mechanical engineering at the University of Missouri at Columbia in 2008, and his bachelor's in materials science and engineering at Xi'an Jiaotong University in 2006. In addition to the AFOSR YIP award, Shi has received funding from the National Science Foundation, the Office of Naval Research, and IBM Corporation. In his three-and-a-half years at Rensselaer, his group has published more than 20 journal articles in prominent scientific journals such as Nature, Advanced Materials, Nano Letters, and ACS Nano. The students he has supervised have received many society awards including a recent Materials Research Society graduate student silver award. Shi's work exemplifies The New Polytechnic, a new paradigm for teaching, learning, and research at Rensselaer that uses advanced technologies to enable fresh collaborations across disciplines, sectors, and regions, in order to answer the global challenges of our day. The New Polytechnic is transformative in the global impact of research, in its innovative pedagogy, and in the lives of students at Rensselaer.